If the world is a book, India is a chapter without which the conclusion can never be written. The divine beauty is the unputdownable aspect of this chapter, which is famous in the libraries of the universe. And to read this chapter, Travelsite India is the only best source available. 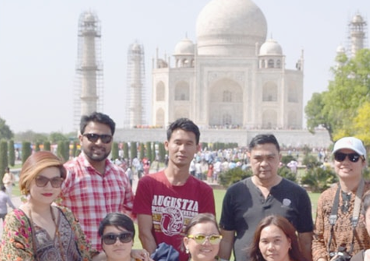 Believing in the fact that states “it’s better to see something once than to hear about it a thousand times” The Delhi based Travel Management Company, Travelsite India came into existence in year 2014. Seeking its origin with an inspiration to make this must read chapter of India known to the universe, Travelsite India was established by Mr Vikas Sharma who very well knew the worth of this chapter and came ahead to bring the best of it in front of the world. 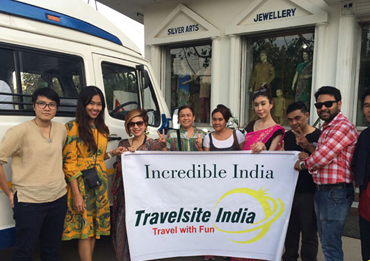 The company, Travelsite India deals with an Inbound Tourism aspect of the chapter called India and works only for its International Lovers of this heavenly abundant charm. The company that was acknowledged by a single person now has a team that works day and night to provide all kinds of tailor-made / customized tours, special interests tours, religious tours, holiday tours, honeymoon tour and plenty of them. The company just not only aims to let you read the chapter but to explore it in a way where one can never forget the experience of this beautiful phase they once lived in. With its excellent services that it aims to provide to its clients, Travelsite India has been awarded the Excellence Award from the Trip Advisor which is an International Travel Community Portal. For us, a good tale evil told was better untold and an evil take well told need none other solicitor. So, before you go ahead in this chapter, make sure the source is right for you. 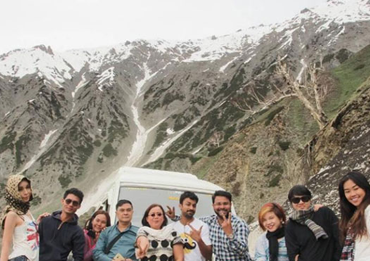 A mere desire that took-off well and turned into a great career worth living for - Vikas Sharma [the founder of Travelsite India – a progressive travel agency and a competitive Inbound tour operator] came into existence with the dogged determination expressed well by its founder [Mr Sharma – Tour Manager]. A great story begins with a strange event – Same is the case with Mr Sharma. In the early days of his career, he started working as an executive in an International Call center [US based company] where he used to take calls and help the customers in order to set them free from grievances. He felt a great fondness in helping others and he valued his customers a lot – he knew that it was just the beginning and he was really sure that he is about to get involved into something huge. As being a travel enthusiast himself – he wanted to grow in the same field but this time with EXCELLENCE. 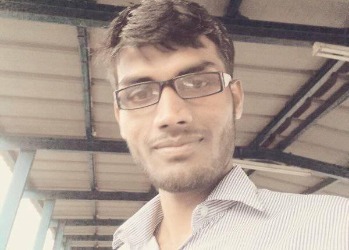 In order to accomplish his desire he knew that he had to create something out of nothing – for the sake of the same he got himself enrolled in an educational program named as PGDM [Post Graduate Diploma in Management – MBA in tourism sector] – for long two years all that captivated his mind was the words related to tourism industry. Days and nights were gone unnoticed – with a purpose to fulfill and a thorough vision to achieve the goal. After a couple of year of dedication – his hard work paid off really well with the discovery of Travelsite India. 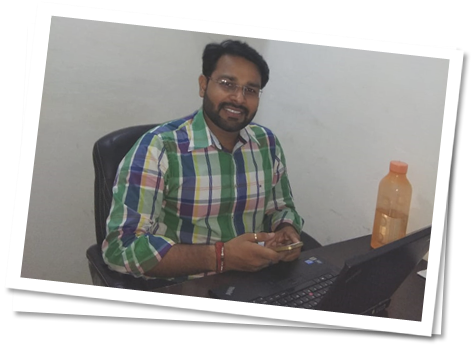 That’s when he never looked back – in the present date the four walls are packed with several employees who put their heart and soul following the step of the ultimate source of Inspiration – Mr Vikas Sharma. 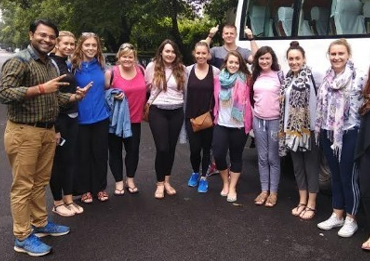 Travelsite India as a whole put an input of 100 percent so as to deliver excellent services and trying out hard to prove as a well-loved Travellers oriented company. She knew she was contributing into someone’s dream or say working as a medium in order to let the explorers create a whole new book which says – The travel diary. Meet our sales head [Mrs Priya Sharma] yet another major source of motivation who loves to serve all her guests with the same level of assistance and support. Let’s travel back in time for a while so as know the past thought which helped her to come this far to where she is now in present date. Strange but true – her maternal grandfather turned to be direction guide as he himself was a travel buff [always keen in knowing every corner of the destination he entered into] with the same vision he showed a path of Mrs Sharma that this is what worth getting into. A whole new chapter began by following the instructions given by her Maternal Grand Father. 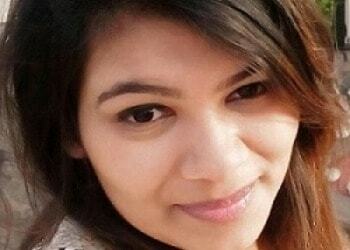 With a deep thought and without any delay she got herself enrolled in an educational program named as BTS [Bachelor in Tourism – 2 years program] a prominent course to undertake in order to work with excellence in the service industry and eventually she also pursued masters in the same field [Master in Tourism management- MTM]. In total, five years of thorough effort and study made her a person infused with excellence. She never asked for a lot to just by herself but she always keeps on asking for more for everyone – and can quote this specifically that she never tries to be great but she really wants to be a good person. She loves her job – every travel related query is a treat for her. 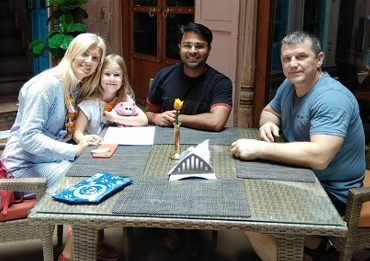 Meeting new bunch of travel enthusiasts – interacting with all sorts of service related questions keeps her get going. She is what she loves to be –Mrs Sharma is the heart of Travelsite India. As John A. Shedd once said, “A ship in harbor is safe, but that’s not what ships are built for”, Travelsite India, being the best tour operator of the India works on its virtue and motto of ‘making travel not just a travel’ for its clients but to give away the best services and make some connections for the lives that builds a trust factor between the company and its clients and bid them goodbye with their happy and satisfied faces and an urge to come and visit our incredible land once again. We understand the needs of a traveler and so we provide them with the best and quality services according to their standards and budgets with a target to beat their expectation level of travel services. As our motto suggests, to provide the best services is what we aim at and the satisfaction of customers is what our priority is. We know the worth of travelling for a traveler so we provide the best services to every kind of budget you have. Travelsite India has been awarded the Excellence Award from Trip Advisor which is an International Travel Community. 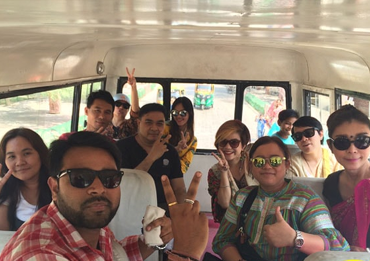 Our team itself is made up of the Travel Enthusiast people who know the worth of traveling. With a helpline that works 24x7 for you, you may reach out to us anytime of the day. 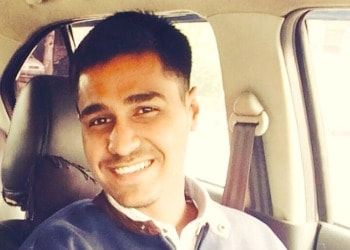 Meet our one of the most significant members of Travelsite India- who develops a blueprint with his mind and after sharing a discussion and fulfilling every parameter by keeping in mind the major element of common interest – he designs every single page of the website with dogged determination. And yes he inputs his best of efforts to keep every page updated. He is a degree Holder in the Bachelor of Arts [B. 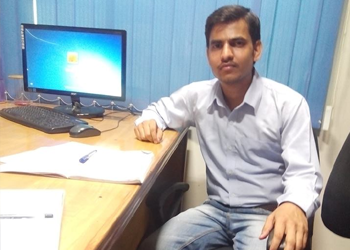 A with specialization in History] and after completing his graduation – he decided to become a part of Delhi with the motive of learning his hands in Web Designing. He did a One year course in order to make his vision stronger and hands full of Skills in the field of Web designing. And after being fully equipped with quality knowledge – there was no looking back. In present date, he acquires an experience of Seven years in this field and with every passing day, he is continuously expanding the level of knowledge and skills keeping in mind about the current demand and needs. He is always full of beans when it comes to feature or exhibit best of his skills – regardless to any time of the day – he is always up with a cheerful smile and bright mood to bring the change keeping in mind the huge influence of this competitive era. He is more of like a tapestry who can easily handle several combinations of event with great level of patience and thoroughness – always up with innovative ideas that not only helps or improves his area of excellence but also serves his colleagues with unique highlights which pops up in his mind – such is the humbleness of Mr. Gahlot. Any adverse or unfavourable situation is always turned into an opportunity of improvement such is level of optimism which is carried over by Mr. Gahlot. With commerce background, he learnt a lot, however, while pursuing the Bachelors of Business administration which is a step ahead in the world driven by commerce – with less than no time he knew that commerce wasn’t his cup of Tea. He was more inclined towards the sector of IT [Information Technology]. Somehow he managed to obtain a degree in BBA and moving ahead he was interested in pursuing MBA in Information Technology but less than he knew his wish wasn’t ruling in accordance to time and he ended up getting enrolled in MBA with Marketing and Human resource. 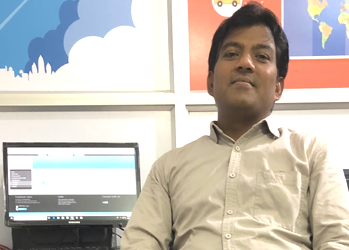 He never gave up on his interest – After completing masters, he enrolled in a course named as DIGITAL MARKETING [a three months course that provides you with a certificate]. Sooner he understood that finally he is into something that works as per choice and since then he never turned the pages of the past. In present date, he holds an experience of approximately two years in the sector of Digital Marketing. Travelsite India is thoroughly delighted to have such a dedicated Employee. With the great level of experience and knowledge – he is continuously turning every day into wonders; every query that comes his way – serves him with an extreme level of pleasure. He tries his level best to provide the finest of every service that he commits to his guests – with great command on three languages [Hindi, English and Spanish]. He drives his way with perfection and diligence. He doesn’t leave a stone unturned irrespective of the time and restrictions. Such is well-expressed with his educational background. 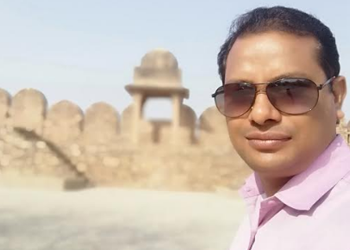 He is a degree holder in Bachelor’s of art [specialized in History] and being a resident of Bodh Gaya [where his well-spent years went by watching various sets of travellers exploring the sites holding attraction] became the source of inspiration to learn a new language [Spanish] which he heard every now and then while living in the Northeast region of Bihar. After learning a foreign language he travelled all the way far to Bhubaneswar and studied a course from IITTM Bhubaneshwar [a six months course teaching the words driving excellence in tourism sector] – finally his dedication turned into a reward [he became a red card holder in the service sector of tourism – serving the travellers of a specific Zone]. With every passing year – he is exploring his own talents that were hidden for far. Things do not always turn out the way we plan or say we think of – at times less are we aware about but it always introduces the best. The same happened with Ms. Gupta – she was always into writing or say most of the time occupied with some creative activities but she wasn’t sure whether it’s just something what she does to kill the boredom of time or whether she could actually work with the same for her lifetime. Her father was really fond of writing and reading – whenever he was left with ideal time he would always consider doing any of the two things – reading or writing; Ms. Gupta spent her entire childhood watching the same activity followed by her father and eventually she started developing the same interest. In less than no time she shared the common interest. She didn’t realize back then to what she was capable of - and she ended up obtaining a bachelors and Master degree in Commerce. After completing her masters – she was not sure to what she is up to. She started exploring various places all on her own as her mind was always in search of the utmost purpose justifying her presence. Finally, with various changes going around – she made up her mind and tried her luck in the field she was and still fond of since the past. 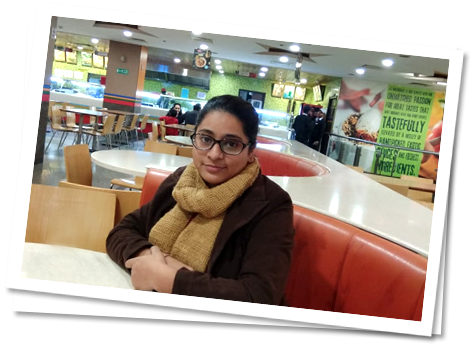 One fine day, a call made a difference and the second day she started working as a content intern at Travelsite India [Internship program for three Months]. 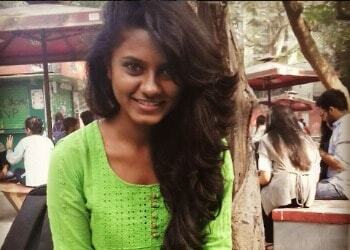 In present date, she is working at Travelsite India as a Content writer, editor and a travel blogger. The person who works behind bringing the best visuals and the content in front of you is our Web Developer, Piyush Maurya. An enthusiastic engineer who is now associated with every single travel aspect of the country. Not so good in Travel, the Digital Marketing Expert of the Company, Prateek Gahlot Joined with a vision to take the company to the greater heights. With his journey from just being a Digital Marketing Expert to being a travel enthusiast and one of the most crucial person of the company, he gives his best shot to bring the best in front of the world and let people choose the best for their travel needs. With making a hard decision of choosing the road less travelled, Yashika Bhatia, the Editor, Content Writer and Blogger of the Company is a wanderlust girl not made up of sugar and spice. Adventure, fine Beer and Brains rather. Being a social worker and a travel freak, no wonder she is working day and night to bring the best of every single corner of India right in front of the world. 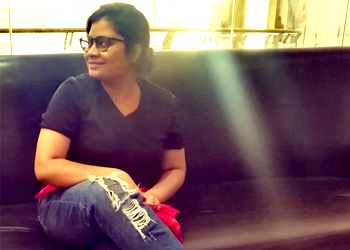 With her search of knowledge and the way to pursue her interest in writing, Ayesha Siddique, Content Writer of the company joined while bringing her search to an end and start the journey she had always wanted to go on.